This was a tough one to work through as there is not a whole heck of a lot of information out there on these errors. It turns out that a combination of the suggestions we came across worked for us on this particular error. Patch package could not be opened. Verify that the patch package exists and that you can access it, or contact the application vendor to verify that this is a valid Windows Installer Patch. Okay, the instructions on Aaron's site to extract the .msi package didn't work to get .NET to repair or uninstall. Download KB 290301: Windows Installer CleanUp Utility. Run the utility and remove the .NET version causing the problem. Click View-->Details, then Right Click the Date Modified header and select Comments. Sort by the Comments by clicking on that header item. Find the file commented with .NET Framework # and Right Click then Uninstall it. Note that if the relevant file is not found move on to the next step. Delete the folder URTTemp and rename the file mscoree.dll to something like mscoree.dll.bak. Rename the .NET version you are after if it cannot be deleted. Clear out the %windir%\temp folder. Clear out the user profile temp directory: C:\Documents and Settings\username\Local Settings\Temp. 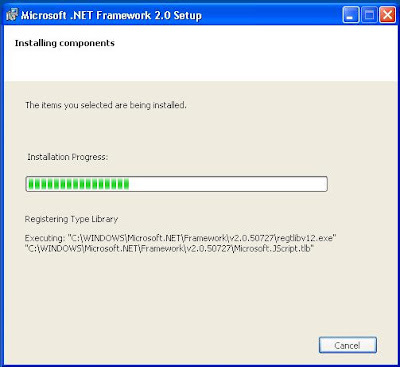 Run a fresh install of .NET 2.0 for x86 in this case (link to the download page). Once the install was finished, a reboot later, and the .NET 2.0 updates took okay. This process will need to be repeated for .NET 1.1 too as there are update errors for it. 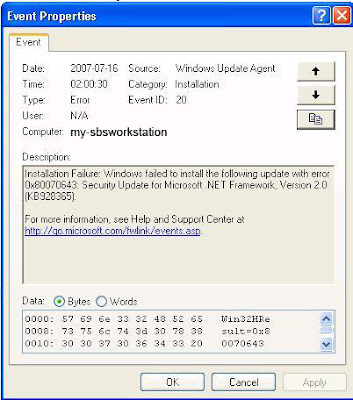 Aaron Stebner's WebLog: .NET Framework SP Setup Issues was very helpful. The above checklist was mostly based on Charity Downham's post on EggHeadCafe.com with some blending of suggestions from Aaron's blog post. 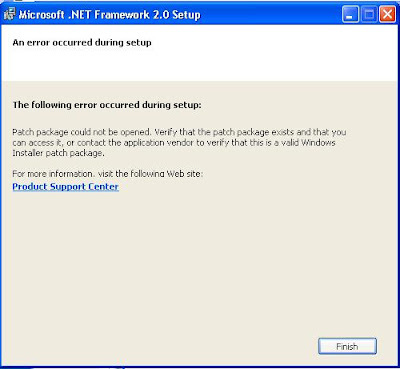 EggHeadCafe.com: Error when installing .net framework 1.1.